Human rights platform "Uspishna Varta" was presented in Kyiv ⋆ News ⋆ Official website for Oleksandr Klymenko. Lawyers, human rights activists, representatives of public organizations, media and blogs fields unite their efforts in order to protect political and civil rights and freedoms in Ukraine, to fight against the persecution of active people, who have alternative beliefs. 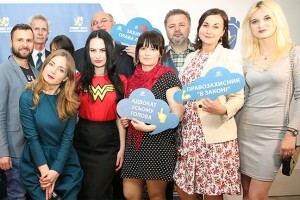 The initiative was presented by the human rights platform “Uspishna Varta” in the Media Hub in Kyiv on April 26. 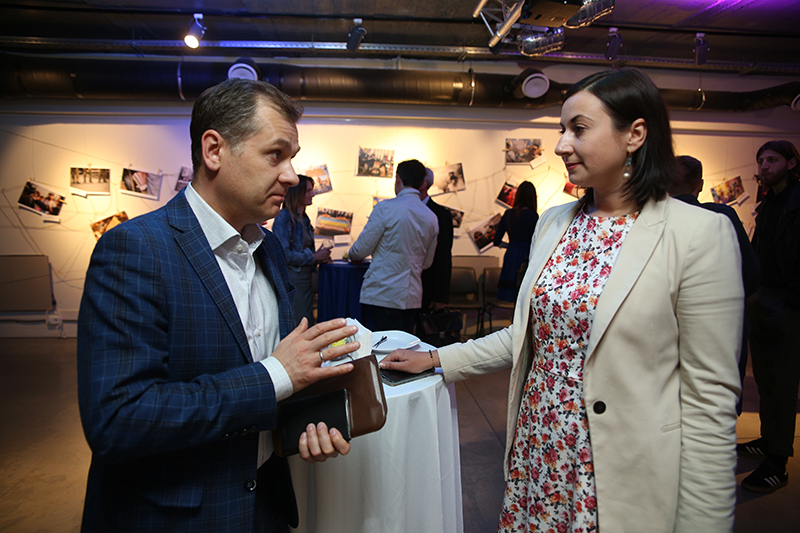 The above-mentioned event brought together famous Ukrainian lawyers, representatives of human rights organizations and political parties, bloggers and journalists, as well as political prisoners, whose rights were stood up for. “Nowadays, ideological dissension is persecuted in Ukraine by the power and radical extreme right-wing organizations. Media are being deprived of licenses, criminal cases are being initiated, journalists and bloggers are accused of articles of the Criminal Code of Ukraine that are related to high treason and separatism. We came though the long way to fight for our political rights as a team. The acquired experience is about the one thing: we have to state loudly about the facts of violation of rights and unite in order to protect our ideas, our right to live and work in our country. We have to fight for our right to speak publicly about our views on the state. We must have a right to make the state the way we see it. 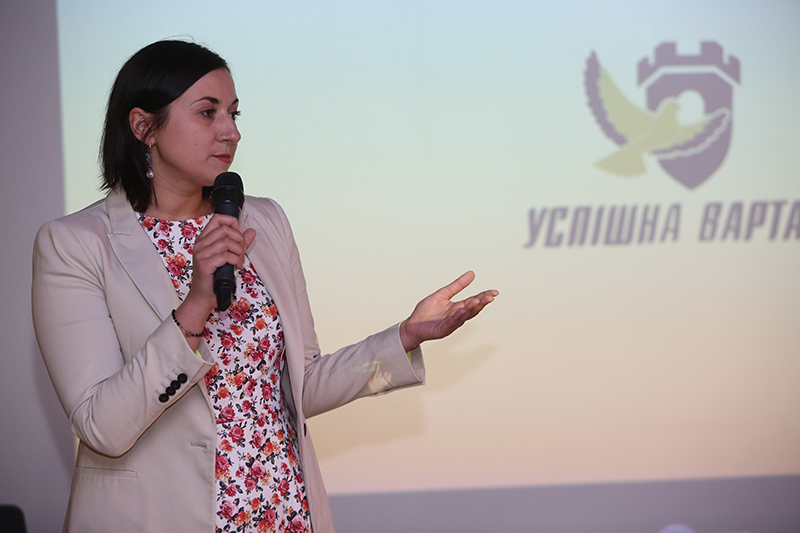 Each won case, each rescued person is a great victory for the entire human rights movement in Ukraine”, – Natalia Natalina, the head of the board of the “Uspishna Varta”, stated during the presentation. The operation of the human rights platform “Uspishna Varta” is aimed at coordinating individuals and organizations, whose rights were violated, together with lawyers, media, volunteers for carrying out prompt legal assistance and reporting of facts and situations regarding human rights violations. In addition, “Uspishna Varta” performs regular monitoring of human rights violations, communicates with international organizations, holds educational training and legal programs in Kyiv and other regions of Ukraine. “I strongly believe that unification, communication and joint actions of lawyers, journalists, bloggers, as well as those, who are directly subjected to all violations of the above-mentioned rights, is a positive fact. I support the “Uspishna Varta” initiative, and I want to express my willingness to work close together with your organization in order to protect the rights of people in Ukraine”, – Valentyn Rybin, a well-known lawyer, defender of political prisoners Mastikasheva Darya, Volodymyr Byk, Oleksandr Scheholev, noted. “The birth of another human rights organization is a big plus. It demonstrates that our people are ready for unification. I believe that “Uspishna Varta” should closely cooperate with our organization. We will share our experience, knowledge, opportunities, and connections with the European and international level. Good luck! 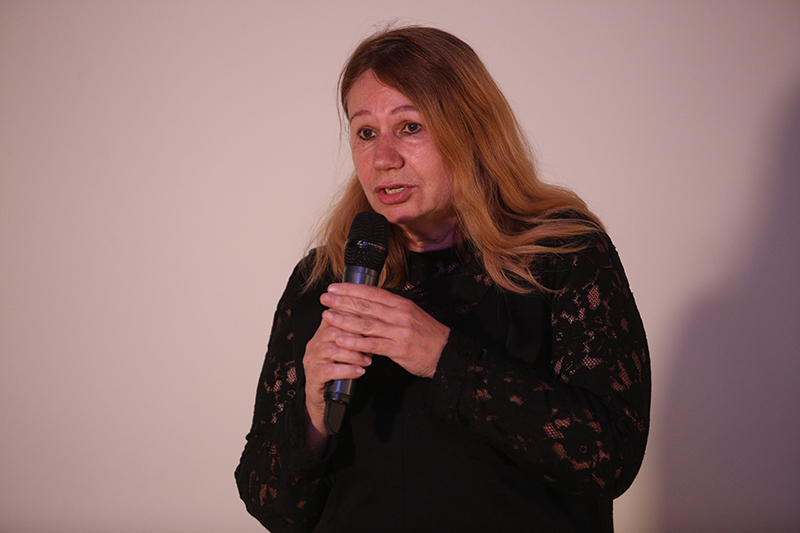 “- Elena Berezhna, head of public organization “Institute of legal policy and social protection in honor of Iryna Berezhna”. In its turn, Ruslan Kotsaba, Ukrainian journalist and prisoner of conscience, reminded guests about those, who we gathered for. “We have to remember that Vasylyi Muravytskyi is still in Zhitomir prison, Dmytro Vasilets under house arrest, and we are all under the sword of Damocles of our power. It should mobilize and unite us”, – Kotsaba stated. 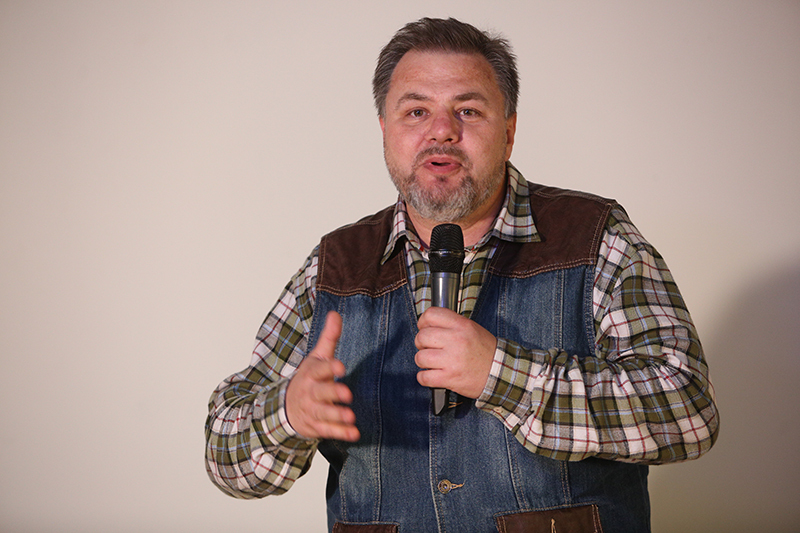 Journalist Oleksandr Bondarchuk emphasized the importance of support of public and media for release of political prisoners. Moreover, he was detained in March 2015 on charges of trespass against territorial integrity, and was released from arrest only due to public outcry around his case, which has been heard in courts during the last three years. 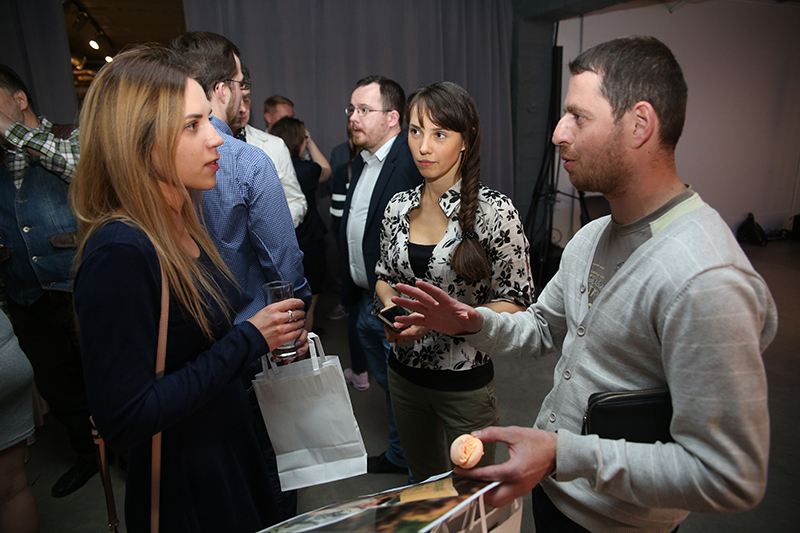 During the event, it was also presented an exhibition of works by photographer Olga Kononenko titled “Protest”, which demonstrated the brightest pictures of Ukrainian protests in recent years. In May, the team of the human rights platform “Uspishna Varta” intends to present a comprehensive report on violation of political rights and freedoms in Ukraine during the period 2014-2018 yy. 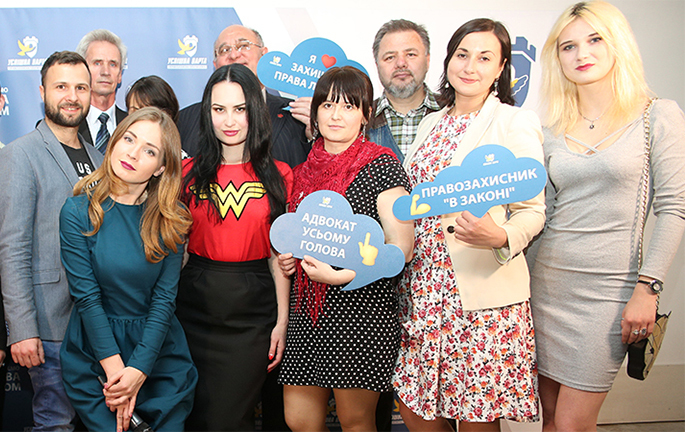 The human rights platform “Uspishna Varta” was created by initiative and with the support of Oleksandr Klymenko, Ukrainian politician and philanthropist. You can find out more information about the human rights platform “Uspishna Varta” through video “Uspishna Varta – let’s protect the rights together” (link to YouTube).